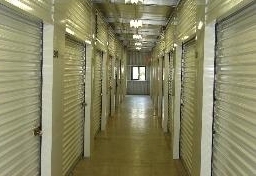 Storage facility in Glen Mills. Completely gated & fenced, drive up and temperature controlled spaces available. Convenient, Reliable, and Affordable! Arrived after a very long 2 day trip to find the reception quite pleasing. We were in and out of the office in about 15 minutes. Nichole was very helpful in making our move in as smooth as possible. This is a great location off of Rt.1 by Wawa in Glen Mills. Good service, clean facilities. Very secure. Nice to get the 1st month free through SpareFoot, otherwise, $125 per month (with fees and lock). The agent was nice and accommodating. The space is beautiful and the agent explained everything from the details of the contract to any other questions I had about payment or safety. There is an Amazon locker box on site, which is even more impressive. I enjoyed the move in process. Clean looks brand new, automated. My interaction with the manager was pleasant and efficient. The facility is secure, clean and tidy. Nice and helpful staff. Easy access. The temporary manager on duty was very helpful and effieient. I am glad to have a storage space close to home that is convenient and clean. Check-in was quick and easy. Staff was courteous and efficient. I reserved my storage space online through SpareFoot and learned of a AAA deal. Pricing was better than other nearby places I checked, even without the AAA deal. The check-in was quick and efficient, which is good because my moving truck was 10 minutes behind me. The staff was courteous and knowledgeable, and even escorted us to the storage unit. I was more than satisfied with my experience at Chester Heights Self Storage. I currently have a storage shed at Public Storage. However, since I signed up 2 years ago, the monthly rate has almost doubled. I found Chester Heights Self Storage online while surfing the AAA (Triple AAA) web site. Their price couldn't be beat, and AAA offers the first month free. I was able to upgrade to a larger storage unit and will still pay less than I was paying at Public Storage. The unit I was given had never been used before so it was spotless clean. 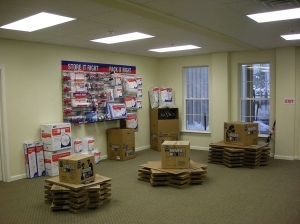 Thus far, I am extremely pleased and satisfied with my experience at Chester Heights Self Storage. The registration process was easy and the staff provided an excellent overview of the unit access. Pleasant and smooth experience. Thank you. Very accommodating on move in. Nice storage at a very good price! I had just cancelled a reservation with Public Storage after they attempted to do a bait/switch on a reservation (they "gave away" my reserved unit but could offer me a larger unit at 2X the price). I called Chester Heights Self Storage and they not only provided a unit for me at the quoted price, they were able to allow me to move in after hours. Very thankful for this! Lee was extremely helpful and knowledgeable. 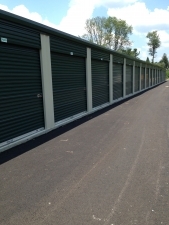 the customer service area, the grounds, and the storage unit was clean and well maintained. I have no worries about leaving my possessions at this facility. check in was quick, the facility is clean and the staff was knowledgeable, friendly and helpful. Exceeded my expectations- great location, excellent selection of affordable and well-kept units. The customer service was incredible and not what one would expect from a storage facility. (of all places) Would highly recommend to others and will definitely be a returning customer. The managers at Chester Heights Self Storage were incredible! We signed up for insurance through them for only $9/month and got the second month for free. Definitely recommending this place to other people. My fiance was worried things weren't going to fit in just a 5 by 10 but they did just perfectly. Easy clean and helpful staff.